1. Stylish, mini, and light-weight design; Fits easily into any bag or pocket. 4. universal compatibility for digital cameras, tablets, MP3 and MP4 player, iPhone, iPad, Smartphones, Android, Apple, Samsung. 5. Safe to use. Supports over-charged, over-discharged, over-voltage, over-current and short circuit protection, perfectly protects your digital devices from charging accident. 6. Backed by the Konlison Electronics 1-year Limited Warranty and outstanding customer service. 7. Package includes: 1 manual + 1 micro USB cable + outer packing + protective bag. 8. FREE LOGO policy: free logo is provided when order more than 200pcs. 9. Free printing: Power bank with heat transfer printing; water transfer printing; UV color printing. Smart wearable devices: smart watch, smart bracelet and smart glasses. Power supply products: power bank, solar battery and power case. Semi-manufactured electronic units: PCBA, battery, LED light unit, LCD. 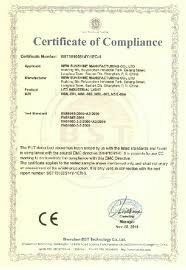 Established in 2004, ISO9001:2008 and ISO14001:2004 certified. 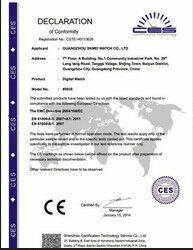 Products passed UL, FCC, CE, ROHS, EMC, GS, TUV, VDE, CSA etc. Workshop of 5000 square meter, more than 500 workers, 18 engineer. 9 years of export right owner experience. 3 braiding machines, 3 automatic spray dual wave welders, 2 automatic glue-pouring machines, 6 LED leg-cutting machines and other supporting devices.